Today I joined with LAPD in announcing the arrest of a suspect in the murder of Juan David Vasquez Loma, a pizza deliveryman who was shot in the head while driving in Silver Lake earlier this month. Police described the attack on Loma as apparent "road rage." 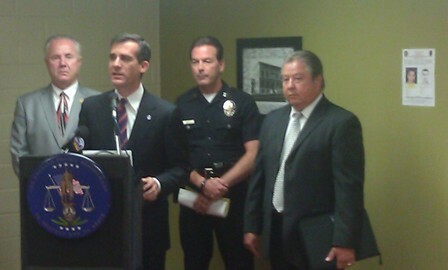 I want to commend the men and women of the LAPD for their work to apprehend the suspect in this case. Outstanding police work is helping Los Angeles to continue to reduce crime despite the conventional wisdom that crime increases during tough economic times. 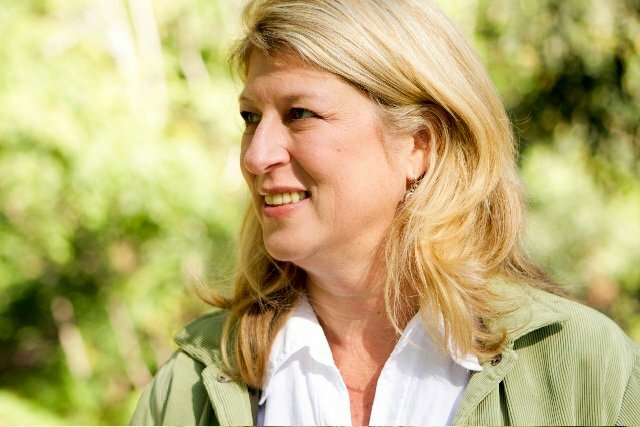 Sustainable Silver Lake will host "Sustainable School Lunches," a free lecture by Jennie Cook. The event will be held on Saturday, September 3, at 11 a.m. at the Silver Lake Public Library (2411 Glendale Blvd.). Ms. Cook is a local food advocate and caterer who worked with Jamie Oliver in his efforts to get healthy, fresh foods into LAUSD schools. She will be sharing her tips and strategies for creating a sustainable kitchen. She will also make and serve a healthy snack to inspire participants to eat their way to sustainability. All are invited to attend a summary session of the community input gathered on DWP's proposed rate increases. The session will be held on Thursday, August 25, from 6 p.m. to 7:30 p.m. at the DWP Headquarters (111 N. Hope St.). Parking is available off Hope Street. The session will also be streamed live online at www.ladwp.com/LAForward. Those interested in participating can visit the site now to register. 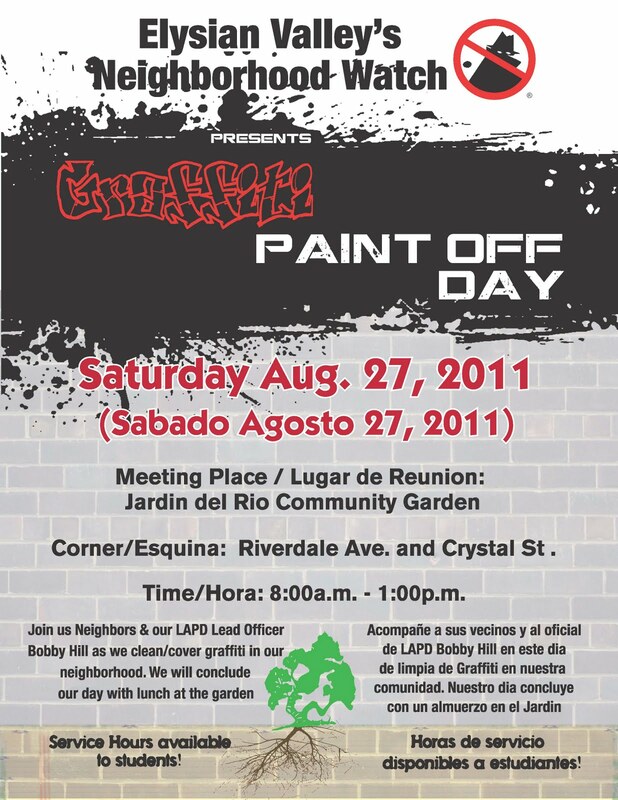 Come lend a hand at the Elysian Valley Neighborhood Watch and LAPD's Northeast Division Graffiti Paint Off Day on Saturday, August 27, from 8 a.m. to 1 p.m. Volunteers will meet at Jardin del Rio Community Garden (Riverdale Ave at Crystal St), then split up in teams around Elysian Park to remove graffiti. Afterward, lunch will be provided at the garden. Service hours are available to students. The Northeast LA Coalition will host a Forum on LA City Council Redistricting on Thursday, August 25, from 6 p.m. to 7 p.m. at the Glassell Park Senior Center (3750 Verdugo Rd.). Civil rights attorney Erica Tealsey Linnick, Coordinator of the African American Redistricting Collaborative, as well as others will discuss how Los Angeles residents can influence the redistricting process. 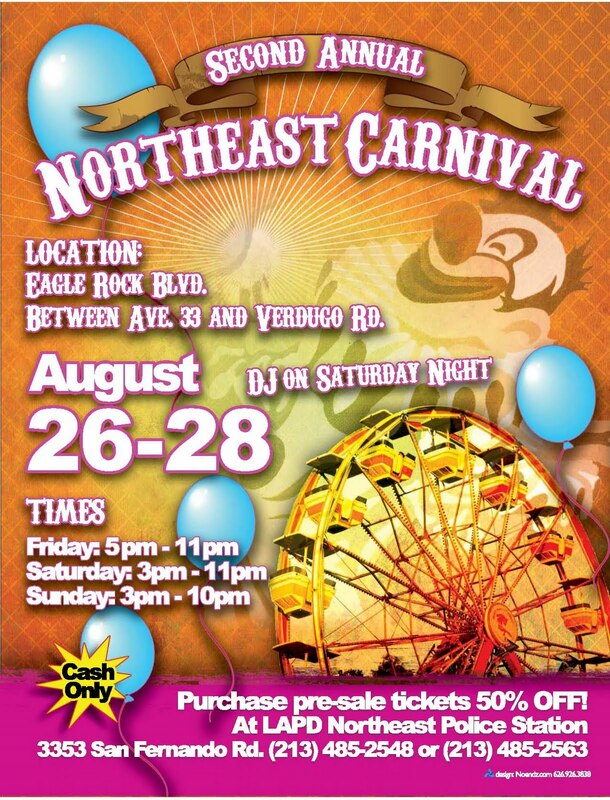 Come one, come all to the 2nd annual Northeast Carnival when the LAPD transforms Eagle Rock Boulevard between Ave 33 and Verdugo Road into a fun-filled street festival! 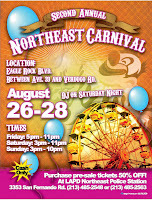 The event will take place from Friday, August 26, through Sunday, August 28. 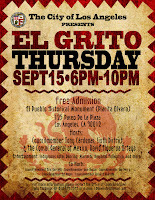 Presale tickets are 50 percent off, and can be purchased at the Northeast Community Police Station (3353 San Fernando Rd). 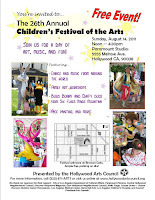 For more information, please call 213-485-2548. 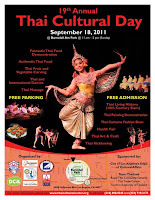 Come celebrate Thai heritage at the 19th Thai Cultural Day at Barnsdall Art Park on Sunday, September 18, from 11 a.m. to 5 p.m. The event will include Thai-themed cooking demonstrations, fruit and vegetable canning, dance performances, painting demonstrations, costume fashion show, arts and crafts, massages, kickboxing, and a variety of authentic Thai food vendors. 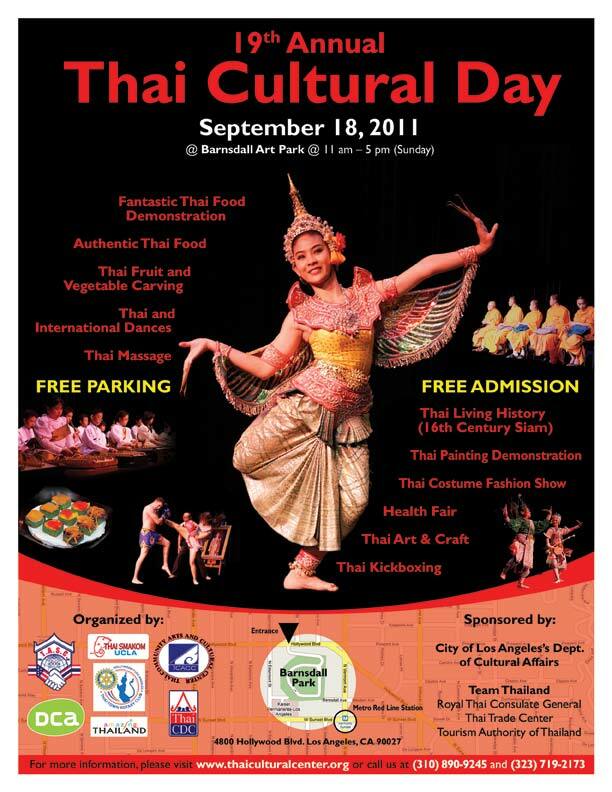 For more information, please visit http://www.thaiculturalcenter.org/ or call 310-890-9245. 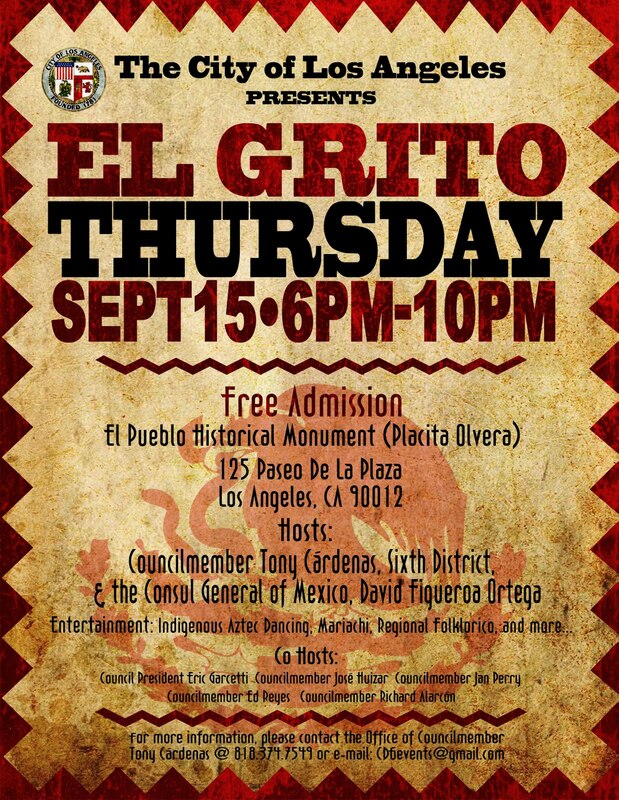 Come celebrate Mexican Independence at the El Grito celebration hosted by the City of Los Angeles on Thursday, September 15, from 6 p.m. to 10 p.m. at the El Pueblo Historical Monument (125 Paseo De La Plaza). El Grito, which means "the cry" in Spanish, is the traditional chant of independence dating back to September 15, 1810, when Mexico declared its independence from Spain. The celebration will include indigenous Aztec dancing, mariachi music, regional folklore tellings, and much more. Admission is free. Check out the Los Angeles Medical Center Farmers' Market at Barnsdall Art Park (4800 Hollywood Blvd)! This farmers' market is open year-round from noon - 6 p.m. on Wednesdays. The LAMC Farmers' Market features approximately 20 farmers selling freshly picked, California-grown produce, fresh cut flowers, herbs and spices, seafood and cured meats in addition to 10 prepared-food booths featuring an array of ethnic cuisines. The Farmers' Market accepts EBT/Foodstamps and WIC/Senior FMNP coupons. For more information, call 323-463-3171. 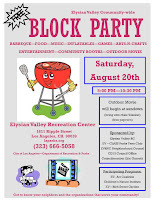 Join your neighbors at the Elysian Valley community-wide block party at the Elysian Valley Recreational Center (1811 Ripple Street) on August 20 from 5 p.m. to 10:30 p.m. 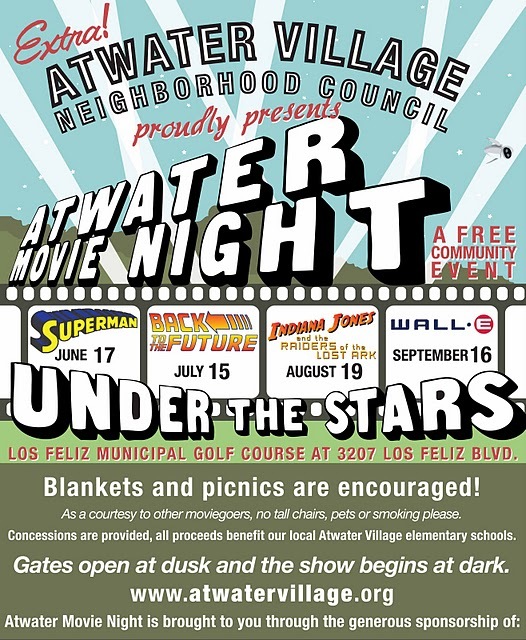 This free event will include a barbecue, food, music, inflatable giveaways, games, arts n’ crafts, community booths, and an outdoor movie beginning at sunset. 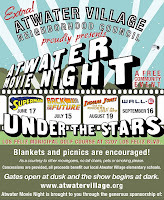 Bring a chair or blanket to enjoy the movie. 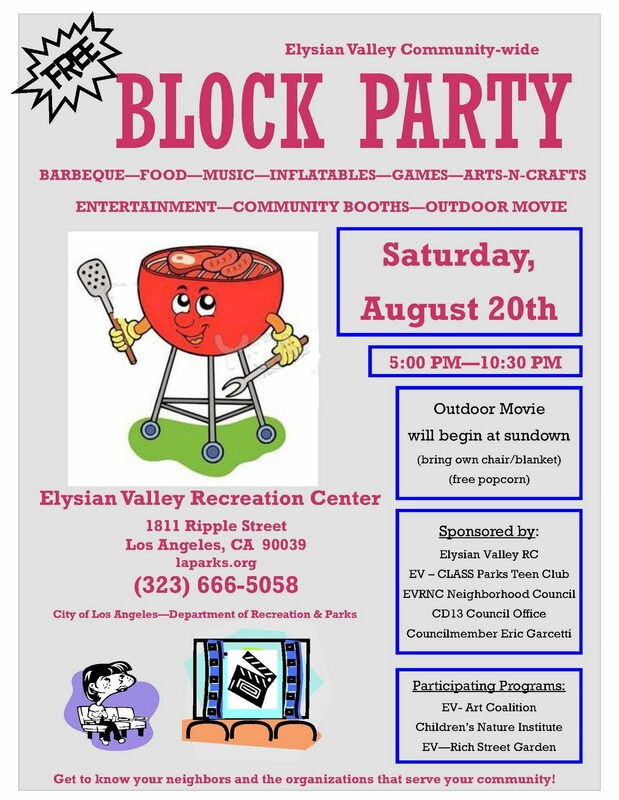 For more information, please call 323-666-5058 or visit http://www.laparks.org/. Mark your calendar for the 2011 Frogtown Artwalk coming up on September 24 from 4 p.m. to 9 p.m. The Artwalk is a free self-guided tour of studios and galleries in Elysian Valley along the Los Angeles River. Artwalk visitors will be able to enjoy the newly completed pedestrian and bicycle path along the river. The street party will continue after 9 p.m. with after-hours music. For location information, please click here. To view artist profiles, please visit www.frogtownarts.com. 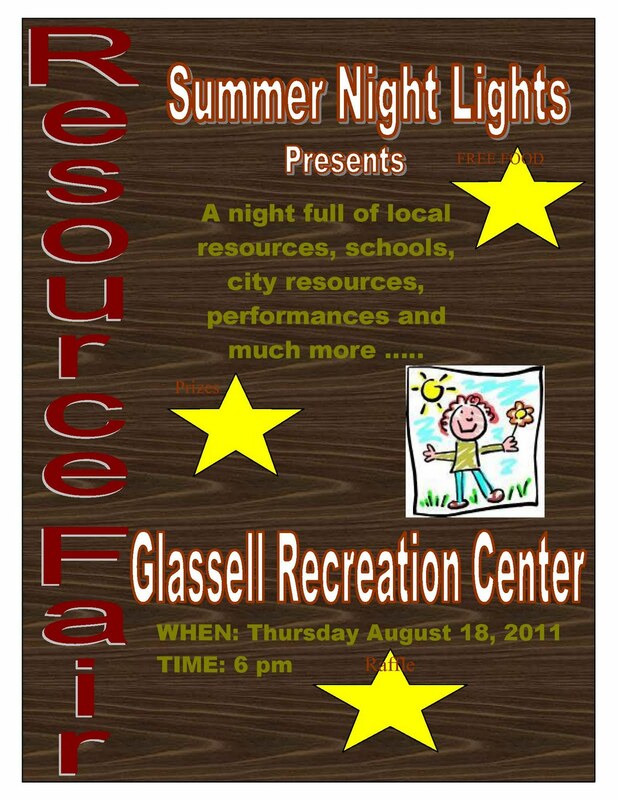 As part of the city's Summer Night Lights program, there will be a Resource Fair at the Glassell Park Recreation Center (3650 Verdugo Road) on Thursday, August 18, starting at 6 p.m. 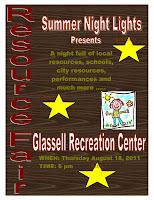 The fair will feature local government, schools, and community resources. In addition, there will be live entertainment, a raffle with exciting prizes, and free food. 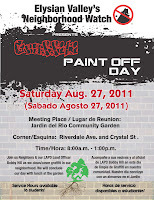 For more information, please call 323-257-1863 or visit www.laparks.org. 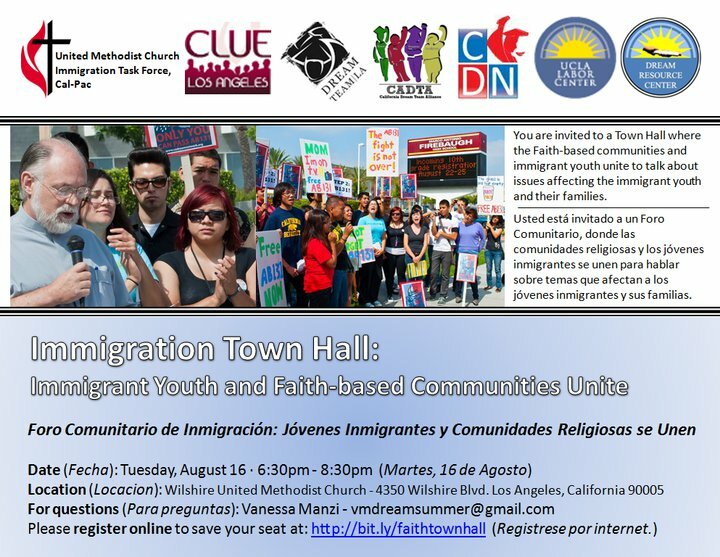 The United Methodist Church Immigration Task Force will present an Immigration Town Hall at the Wilshire United Methodist Church (4350 Wilshire Blvd) on August 16 from 6:30 p.m. to 8:30 p.m. 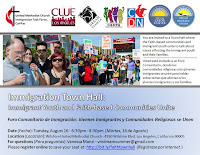 The event will bring together interfaith leaders with immigrant communities to discuss the immigrant rights movement and proposed immigration legislation such the California Dream Act. 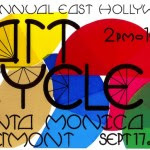 Get ready to ride on down to the 3rd Annual East Hollywood ArtCycle on Saturday, September 17, from 2 p.m. to 10 p.m. on Santa Monica Blvd. stretching from Vermont to Virgil. The event, presented by the East Hollywood Neighborhood Council and the East Hollywood Arts and Culture Committee, will showcase East Hollywood’s budding art and bicycling cultures. More than a dozen galleries, theaters, creative venues and artist live/work spaces will open themselves up to the neighborhood for a celebration of East Hollywood. The event will also include a street fair with artists and performers displaying their creations, alongside food and live entertainment offerings for the whole family. For more information, please visit www.ArtCycleLA.com. Peter Piper pick a peck of pickled peppers, right? But how were those peppers pickled? Come to the Hollywood Farmer’s Kitchen Pepper Preservation Workshop on August 6 from 9 a.m. to 1 p.m. and find out how! Participants will learn about freezing, fermenting, drying, smoking, canning and, of course, pickling peppers. The class fee is $85. Reserve your space by clicking here. Has your child had the whooping cough vaccine yet? LAUSD is requiring all children entering 7th through 12th grades to be vaccinated with the TDAP booster shot within the first 30 days of the academic year. The Angeles Comprehensive Community Clinic (3920 Eagle Rock Blvd.) is offering free TDAP vaccines to low-income students enrolled in the Child Health and Disability Prevention program. The child must be accompanied by a parent or guardian and children up to age 19 years-old are eligible. To schedule an appointment, please call 323-255-5225. 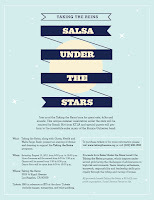 Taking the Reins will host an Salsa Under the Stars benefit to support its youth programs on August 13 from 6:30 p.m. to 10 p.m. at the Taking the Reins farmhouse in Atwater Village (3919 ½ Rigali Avenue). Taking the Reins is a non-profit organization that works to inspire underserved girls facing the challenges of adolescence in high risk environments. Through riding and caring for horses, teens develop self-esteem, teamwork, responsibility and leadership skills. 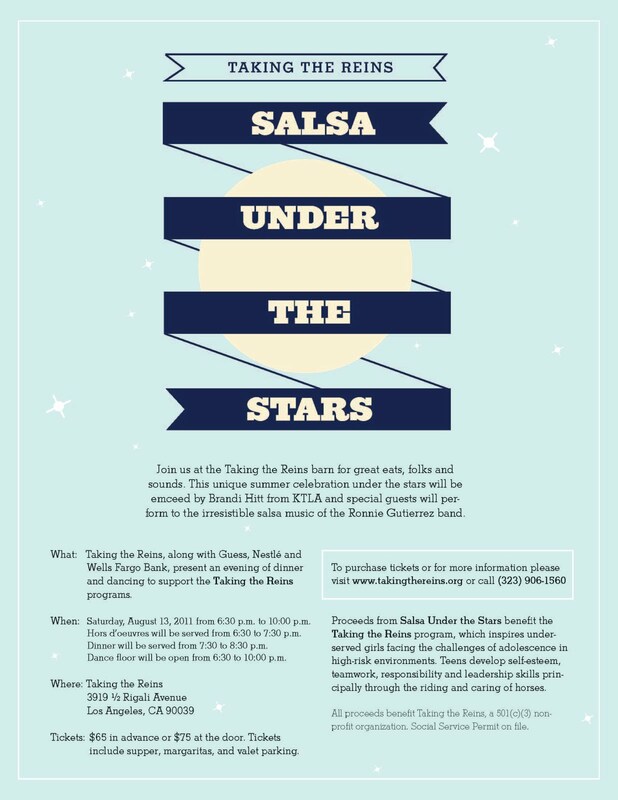 The celebration will be emceed by Brandi Hitt from KTLA, and will feature live salsa music with the Ronnie Gutierrez band and special guest salsa performances. 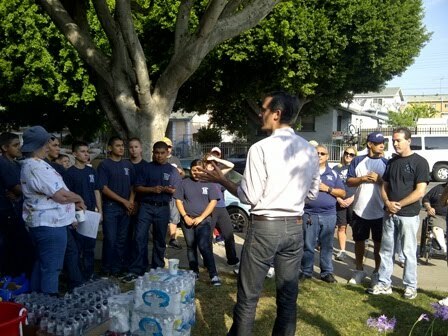 Thank you to everyone who participated in the Glassell Park community clean-up on Saturday! 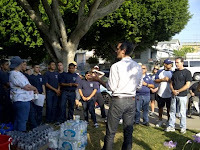 It was great to see neighborhood council members, LAPD officers, LAPD cadets, local school leaders, residents, and others helping to beautify the area around the Recreation Center. I also enjoyed knocking on doors of residents who live in the area to hear about what's happening in the neighborhood.